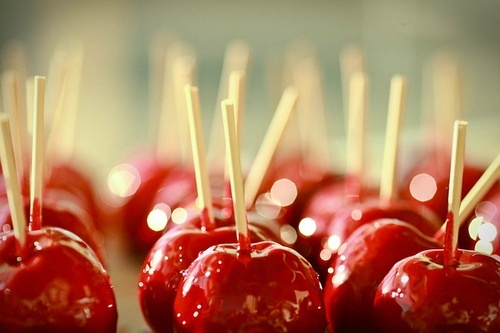 The first candy apple was created in 1908 by William Kolb of Newark, New Jersey. Kolb a candy maker was looking for ways to expand sales of his red cinnamon candy during the Christmas season and used an apple on a stick as a way to display the brightly colored candy in the shop window. It didn’t take long for the new treat to take off and soon he was selling thousands of them each year.